What is Aquatecture? It's just a fancy word that simply means landscaping with water. Aquatecture has long been employed in places like Japan, where gardening and landscaping take on an almost spiritual significance. The Japanese have discovered water’s ability to promote serenity and well-being in a country where personal space is at a premium. It’s no wonder that the use of water in creating atmosphere is becoming more popular in this country, where open space continues to shrink and Americans increasingly look for peace in their own back yards. Landscaping with water doesn’t have to mean mammoth fountains with marble cherubs or giant fishponds. It can be as simple as a miniature contained waterfall or even a birdbath. Or you can build a rocky stream bed through your back yard. The options are as varied as your imagination. Realizing that water is always at a premium and wasting it is a cardinal sin, any aquatecture you undertake should be functional as well as beautiful. Pond and stream water should do double duty as plant water. Many prefabricated waterfall units are self-contained and recirculating, which will keep waste and water bills at a minimum. First off, you need to decide what you want – and if you can afford it. You may need to call in a designer. A little research on the Internet can yield up a variety of specialized landscapers who deal with these kinds of projects. But with or without a designer, be sure to tailor your water landscaping to your yard’s size – don’t build a pond that stretches from fence line to fence line. If you have a lot of space, use it. Another suggestion is that you build whatever water feature you decide on far enough away from the house so that it can be seen and enjoyed from inside the house. Whatever you decide on, be sure to design it in such a way that it appears natural – in other words, you wouldn’t build a stream in a perfectly straight line. If you plan to build a pond, will you stock fish? This is a whole other dimension that demands careful consideration. Pond fish can add a lot to the aquatecture, but they require extra research, expense and effort. For instance, what kinds of fish are indigenous to the area? Will you need to supplement their diet? Is a filter system necessary? 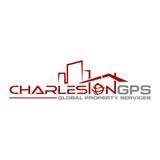 The final phase of planning is checking with municipal regulators to determine the specifics of your property. Find out what the setback is, what rights-of-way exist and where on your property you can build. Call your utility providers to come out and put in markers where underground cables are before you dig, remembering that even this precaution is not always completely accurate. Look into any permits that are required. A small starter pond kit can cost anywhere from $200 to $500, pumping about 300 gallons a minute. Larger kits start at $750 and range up to several thousand dollars. By some estimates, 90 percent of the original water gardens sold are replaced later with larger, more elaborate ones. As a general rule, a 180-square-foot (11’ x 16’) pond is the standard size water feature. Trace the prospective pond out on the ground with a garden hose to help you visualize what the finished size will be. The basics of aquatecture are simple. You’ll need to start with a sketch. Get as specific as you want, down to plant and rock selection and placement. If during execution you don’t like what you see, you can change it. Water features typically need a plastic liner (either preformed or flexible) under which you’ve lined your hole with sand. A pump is a must. You can’t just let the water sit for a couple of reasons – insects will make a city out of it and algae will choke out whatever other life you have planned for it. Your pump keeps the water moving, which gives both visual and aural appeal, and aerates the water, which keeps the pest and algae population down. Most pumps for a small-to-medium project should circulate between 1000 and 3000 gallons per hour. Larger projects will require larger pumps. Filtration is usually only necessary if fish are used. You’ll need to do research on water plants appropriate for your area. In some areas water hyacinths aren’t aggressive, but in others, they’re considered exotics and can almost choke out anything else. Some other water plants to consider are water lettuce; water lily; water celery; lotus; soft rush; pitcher plant; dwarf papyrus; cattail; and water fauna. Starting small is a good idea. Aquatecture is the kind of project that can grow over time. When starting with a small pond, you can later add a small waterfall pouring into it. 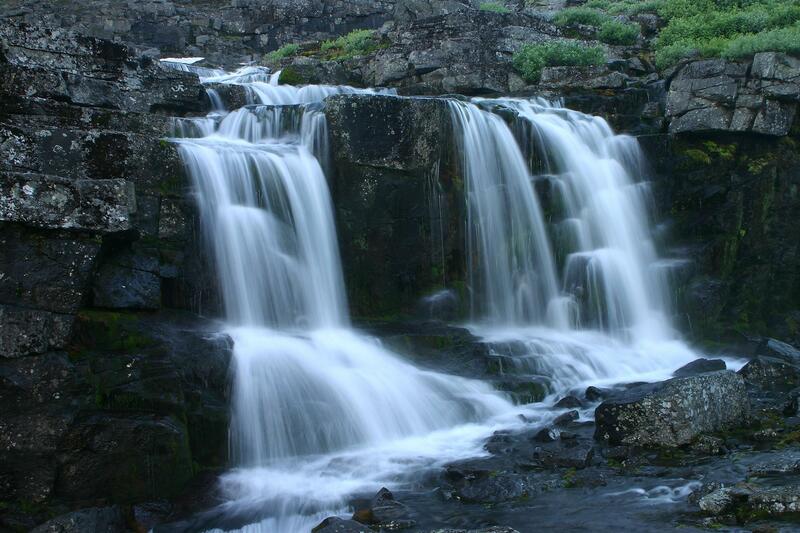 After that, perhaps a small stream that goes over the waterfall and empties into the pond. If you build your water paradise gradually, the cost can be spread out as well.